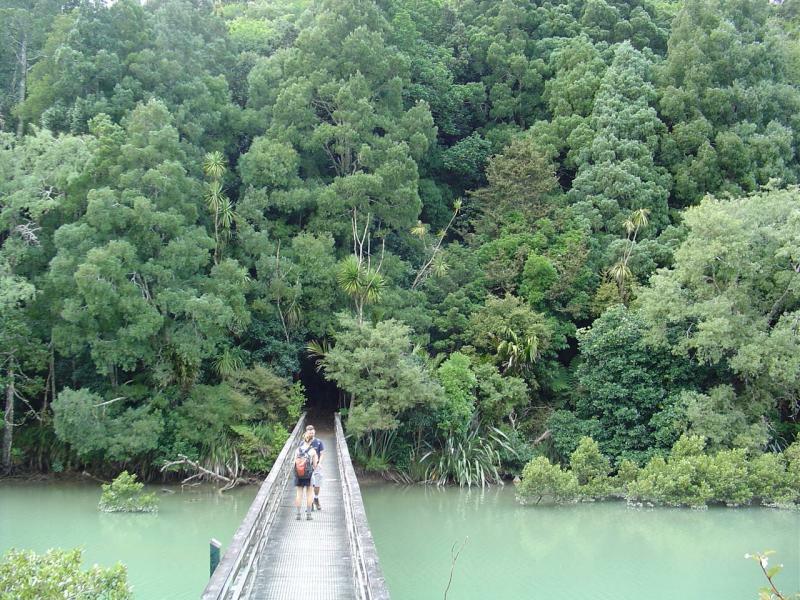 This fine summer has brought walkers in their thousands to enjoy the shaded tracks of the Okura Bush Walkway – Auckland’s most popular bush track. It has also been a great season for native wildlife. Birdsong generally is considered more abundant thanks to the trapping program started at the beginning of 2014. Four endangered NZ dotterel chicks have hatched on Karepiro beach in front of Dacre cottage. This is the first in a very long time. The ground nesting birds are now getting more of a chance. Flocks of 60 or more godwits roost on the sandbanks at high tide. Californian quail – parents followed by scuttling bumble bee young – are regularly sighted slipping off the track into the undergrowth. 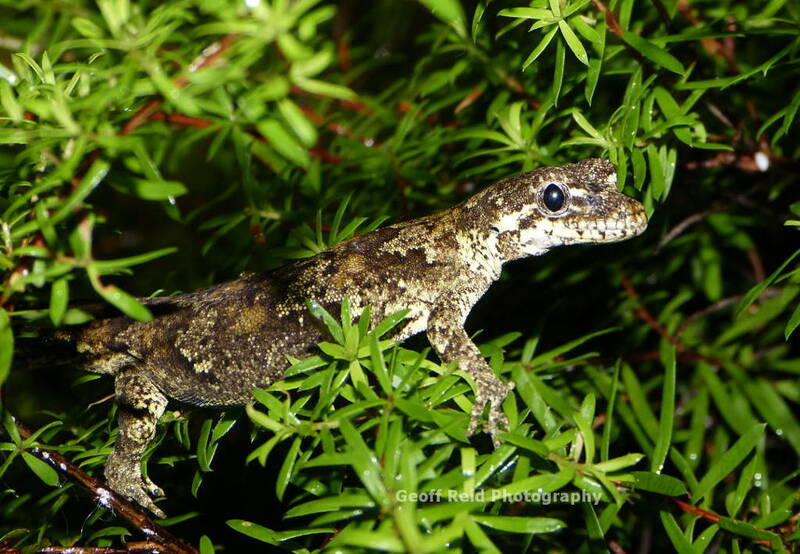 We now have four confirmed species of lizard in the forest: forest gecko (Mokopirirakau granulatus), elegant gecko (Naultinus elegans), ornate skink (Oligosoma ornatum) and copper skink (Oligosoma aeneum). Three of these are rated “threatened”. Expert eyes have identified native fish in the streams – red finned bullies and banded kokopu. This small section of bush holds in microcosm a fast disappearing slice of the natural world. One of the keys to its preservation is the reduction of rodents, mustelids, possums and cats. Our devoted band of trappers consists of between 10 and 12 men and women who check an assigned section of the trap lines about once a week. They are easily identified by the cake-icing syringes which, loaded with peanut butter, they use to re-bait the traps. By the end of 2014 they had reduced the pest population by 630 rats, 311 mice, 115 possums, and 13 weasels and stoats. We now have seven traplines and about 350 traps in place. Plans are to increase the numbers of traps and the areas in which they are set with the ultimate aim of ringing the entire reserve. Consultation is continuing with DOC who prefer to limit access to off-track areas because of the risks of kauri die-back infection. This project is dependent upon two essentials: Firstly fund-raising to buy more traps and, secondly, more volunteers to check the traplines. Trapline checks are interesting, at times exciting, and very worthwhile – but you have to not mind handling dead animals! Our major fund-raising event of the year, the Okura Forest Festival 2015, was held on February 14 at the Okura village domain. 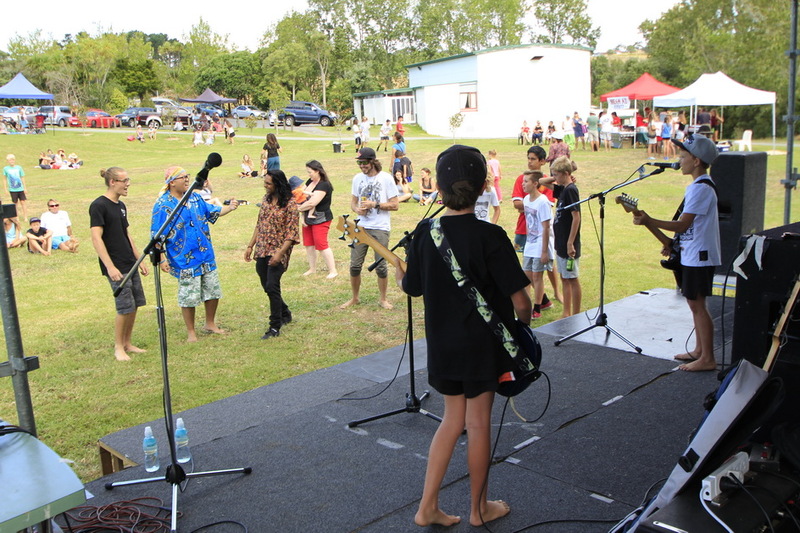 Food, craft and second-hand book and clothes stalls along with entertainment from local bands raised $4500 and brought in 50 new members – Welcome! This amount adds to the grants FOOB has received of $8500, most of which is being spent on traps and equipment. Applications are being made for further grants for all of our projects including boardwalks to protect Kauri. FOOB’s energies are not dedicated solely to eliminating predators. 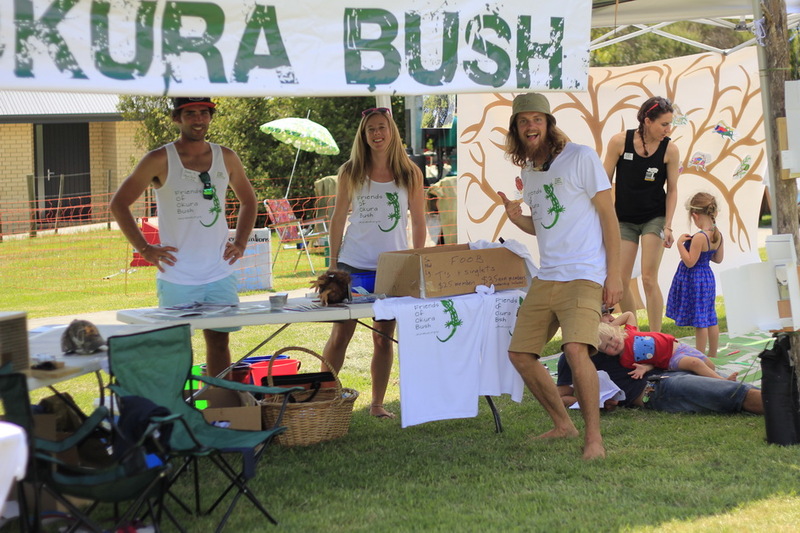 Kauri dieback disease is a major concern and FOOB are very proactive in educating the public about it. FOOB walked the track with the botanist from DoC in April 2014. It was established that certain areas of the walk urgently needed a boardwalk. To protect vulnerable trees, priority sections of the path were mapped out. A workshop with DoC experts and the FOOB Executive has been set for March 24, to discuss the Kauri Die Back management plan for Okura. The construction of the boardwalk will depend upon more fund-raising. Please go to our website and press subscribe so that you can receive these newsletters in the future. FOOB wishes you happy walking!